The 2014 Chevrolet Tahoe needs no introduction. This is America's all-time-favorite full-size SUV. It seats nine, tows up to 8,500 pounds, deals with smooth pavement or none at all, in good weather and bad, and it's rated at over 20 mpg on the highway. For all its virtues, unless you really need those kinds of capabilities, a smarter choice would be a midsize or larger crossover SUV. Great family vehicle! Great winter vehicle! Very comfortable and roomy vehicle! We are family of 5. 2 adults and the kids under age of 5. The back seat for all the car seats, it has great let room for kids and adults at front. Great space in the trunk, that can fit double stroller. We have very hard winters and the car does great in the snow and ice roads. I love the fact that you can switch from 2-wheel drive in the summer to auto or 4-wheel drive in the winter. Or model had DVD player which is very nice for kids entertainment on the long trips. Gas mileage is great for this size SUV. We had problem switching from 2-wheel drive to auto, but the problem was resolved quickly. It is very comfortable to drive. Very sturdy. Great maneuverability! I am only driving for 2 years, so not a lot of experience, but feel very comfortable driving this SUV. I love how the computer let's you know of something is wrong. Large stylish and family friendly. 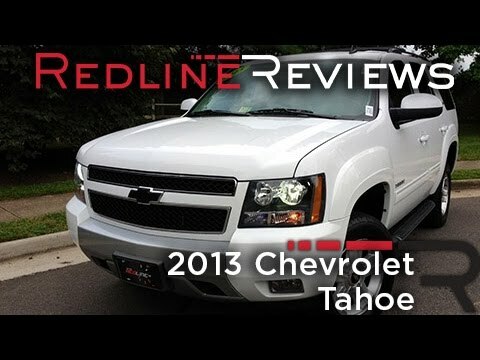 My 2014 silver Chevrolet Tahoe is not only stylish but quite reliable, roomy and comfortable. Great family vehicle when taking a road trip or vacationing. Seats 7 passengers comfortably. Cup holders in back and front seating. Back passengers can also enjoy their own radio and charging capabilities. Cargo space is fairly large. Back seats can be removed to make more cargo space. Middle seats can fold up to give you even more space. Will alert you when your tires need air, need an oil change, or something is wrong with your engine. Great buy. Very reliable and low maintenance. I have had my vehicle for six months. I got it used. So far there has been no problems with it. Just regular maintenance. I have a six inch lift and just love it. There is just one thing that I don't really like about it is that in order to fully use the phone features it only works with Apple. I have an android so all of the car phone features will not work.